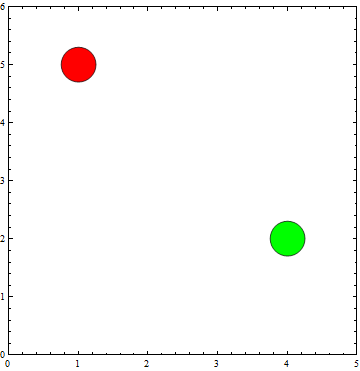 I want to add black circular boundaries for the red and green spots. What can I do? Not the answer you're looking for? Browse other questions tagged plotting graphics style plot-themes or ask your own question. How can I stop PlotRangePadding from cutting off points in a ListPlot? How to Wrap the Points of a 3D Clustering Plot? How to achieve a color gradient following the x-axes in the points of a ListPlot?